Shade and oxygen were the first gifts from the grand oak tree. Next came a tiny acorn. 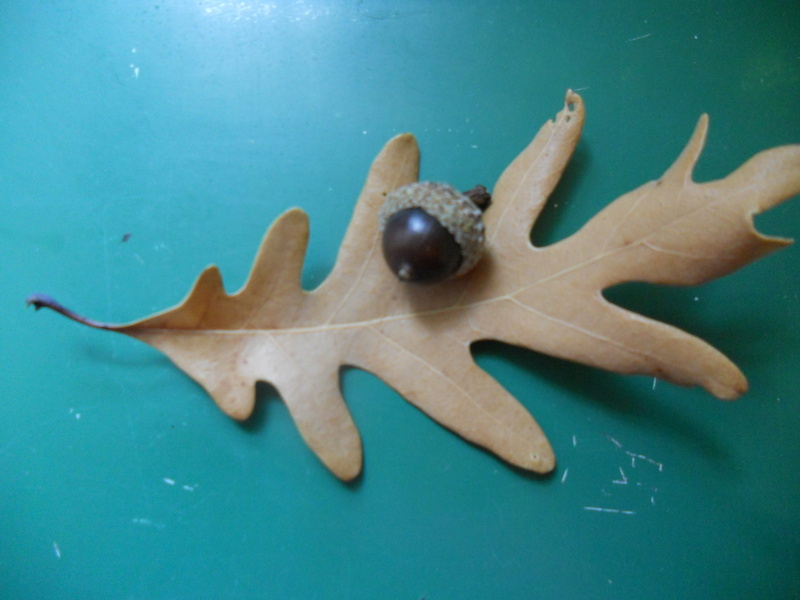 Today’s gift was a small, brown, oak leaf on the patio bench: a reminder that everything fades and dies. Or does it? If I look deeply enough, I can see next year’s foliage fertilized by this “dead” leaf. Fourteen years ago today, my father passed away. I think of the Law of Conservation, which says nothing is lost, it just changes form. Wow! Don’t have words to express. Beautiful, profound, touching.